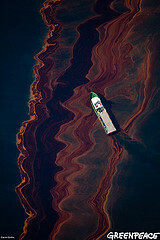 The ongoing oil leak in the Gulf of Mexico is causing widespread concern about the potential impact for the region’s economy, wildlife, homes and shore line. As a result, many states and communities are beginning to mobilize volunteer and government resources. The American Red Cross is working with federal, state and local government partners on ways in which we can support the needs of affected communities. Right now, the Red Cross is planning for that support role, should our government partners request help.The Red Cross is ramping up preparations for what is predicted to be a very active and dangerous hurricane season, especially along the Gulf Coast where the oil spill could cause people to evacuate for an even longer period. At the same time, we are actively responding to wildfires, tornadoes, floods and other disasters from Arizona to Montana to Arkansas. The Red Cross is accepting donations to its Disaster Relief Fund to support these efforts. The Red Cross understands that certain communities may have unique needs or requests for help, and that will figure into our planning efforts as this situation continues to evolve.